Grizzly's Vacuum Table is the perfect solution for reducing airborne wood dust and eliminating time-consuming cleanups. 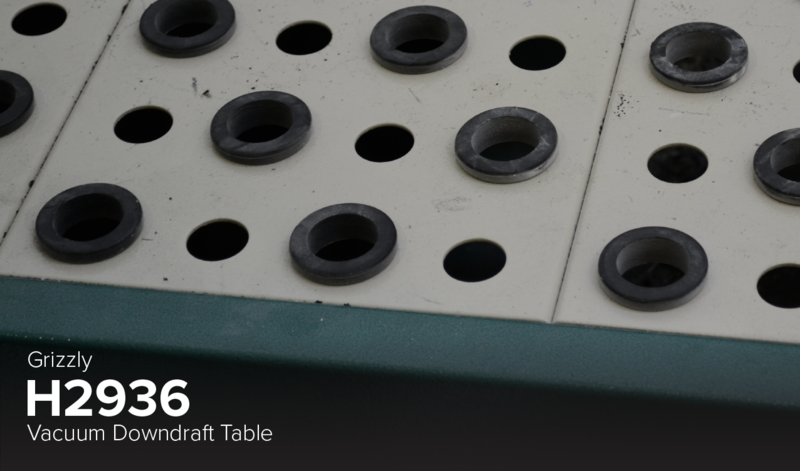 Features include large downdraft tables, easy access filter bays, (2) 120V outlet receptacles, power cord hangers for accessory tools, and rubber-grommet table surfaces for workpiece protection. Filter size 16" x 25" x 2"